After years of falling in love with the National Park system, I caved in and bought an annual pass! This means that for $80/year, I get to step inside the country’s most magical places. 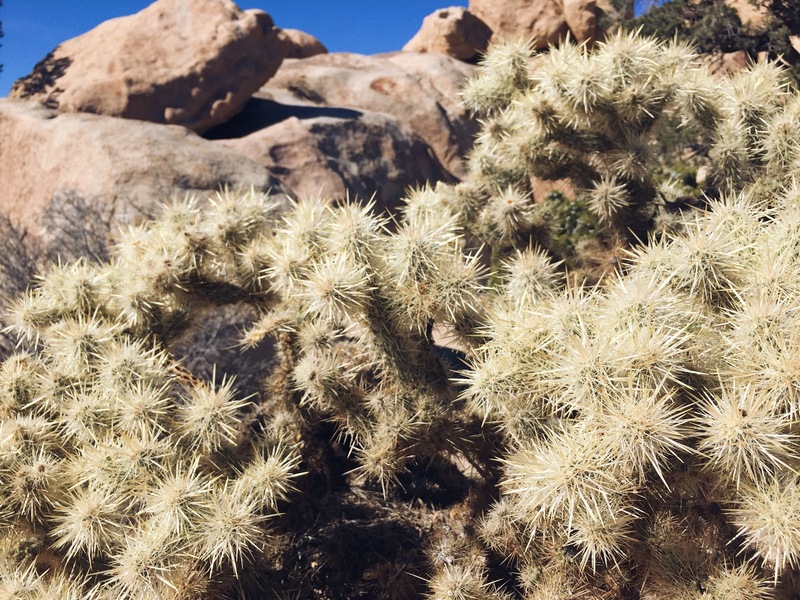 First line of business – Joshua Tree National Park. Chris and I planned a day trip to the park. 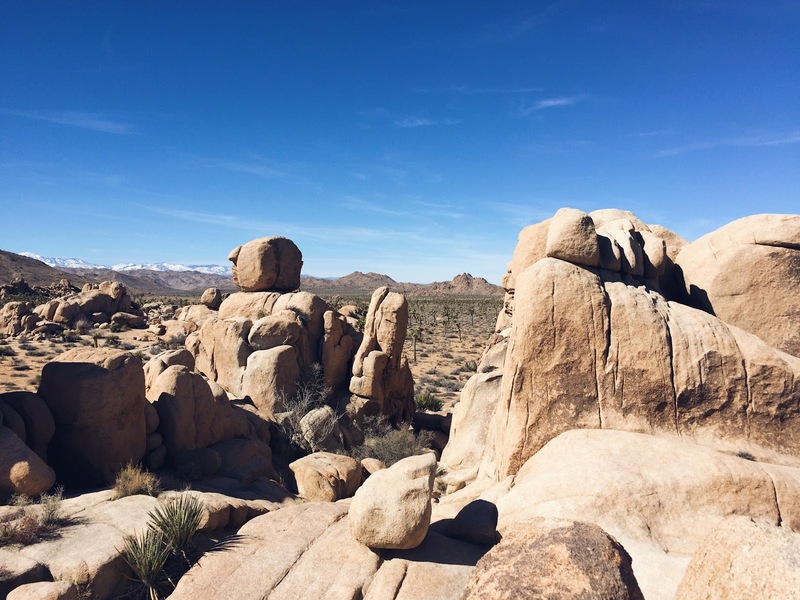 We left close to nine in the morning, and drove two hours to get to Twentynine Palms, CA. When we were 11 miles away from the park, we got really hungry and found John’s Place along the road, which is a local diner. 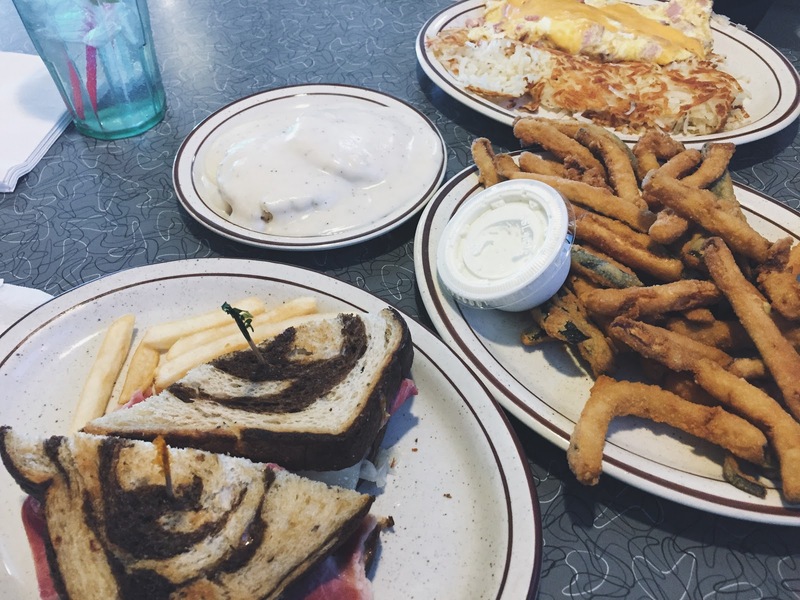 I was initially hesitant to dine at said establishment because it seemed empty, but when we walked in, the place was packed and the prices were great! We paid $23.33 for a ruben sandwich, egg & ham omelet with hash browns, and two half orders of fries and fried zucchinis. So much for healthy eating, I know I know. From there, we went straight to the park! Since we went on a Monday, I was hoping it would be empty but it took ten minutes just to get to the park’s entrance. The park’s west entrance is where most of these HUGE rocks are situated. 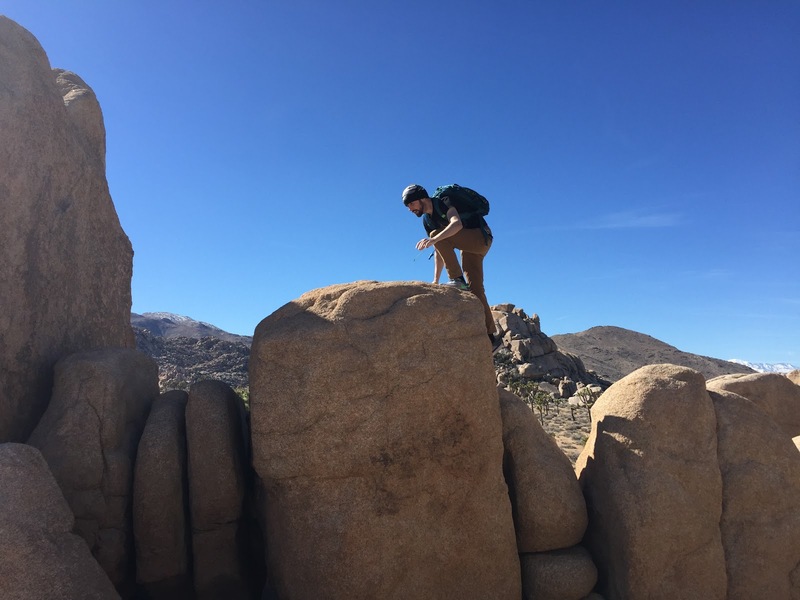 And look at Chris being a spider-monkey and jumping over all these rocks. I’m short so I stay in safe places because a) my legs are incapable of free climbing and 2) I am a wimp, ha! 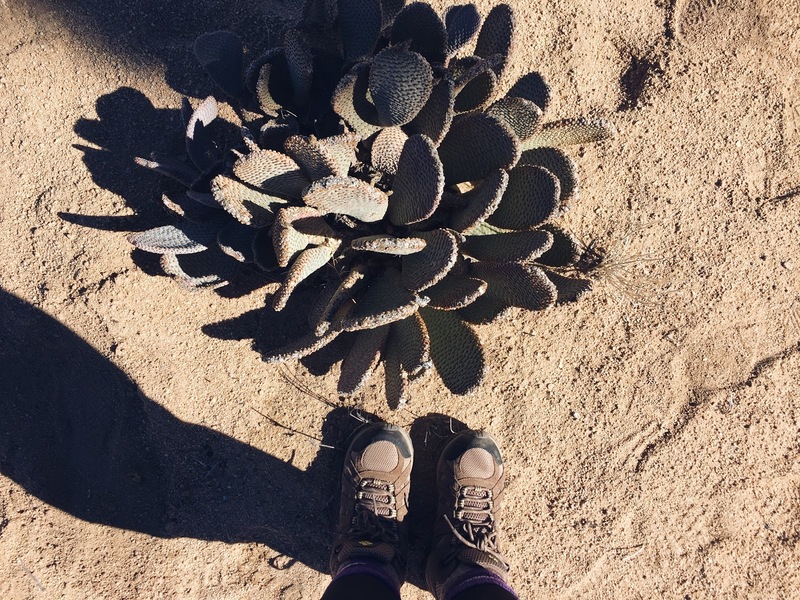 I obviously had to include plant photos because I love plants and the desert had a cool variety of them. This last photo is my new masterpiece. My “take a hipster photo of me taking you on an adventure photo” because hey now with this new annual pass, I’m definitely going on more adventures! Stay tuned as Chris and Eena take on national parks! Ah you're so lucky to live close to such beautiful national parks! 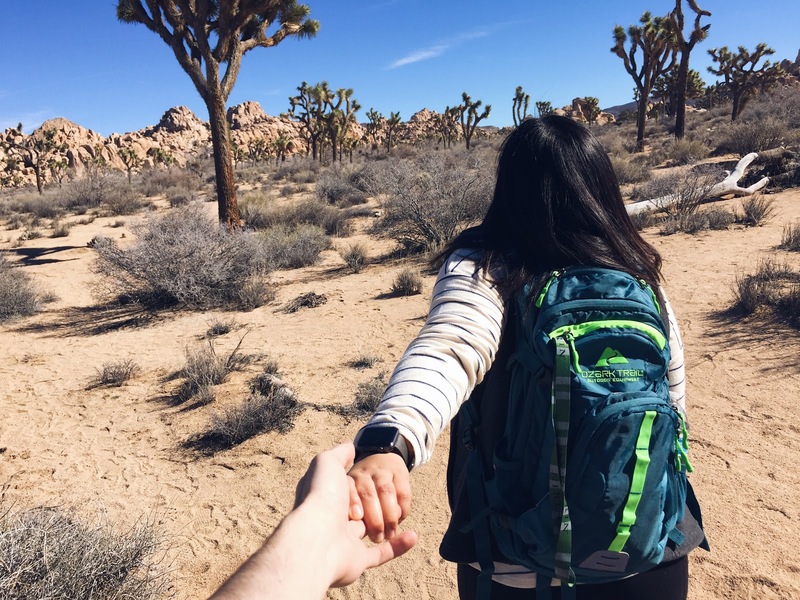 Joshua Tree is definitely on my travel wish list. Can't wait to see more of you and Chris' adventures!! I wish I went to Joshua Tree NP when I lived in California! This inspiring me to go back. 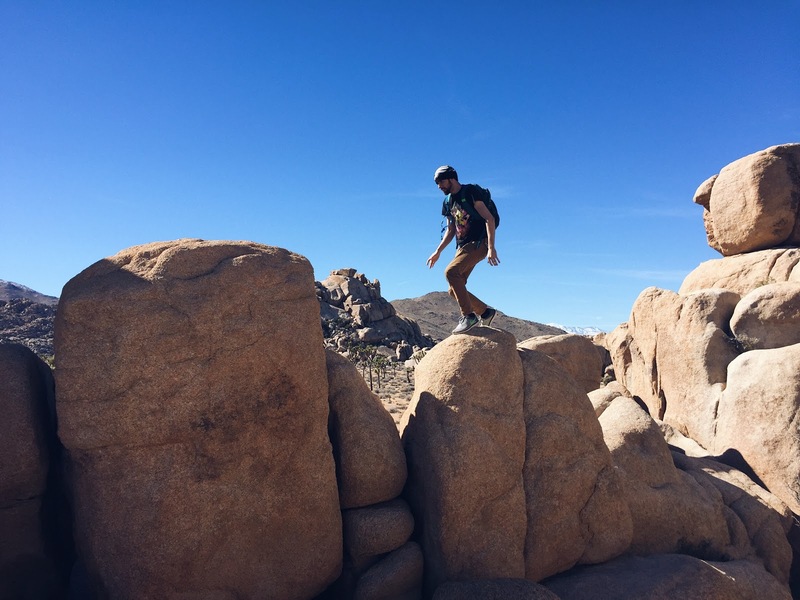 I think Joshua Tree NP is one of the underrated parks in the system! It's absolutely beautiful there; hopefully you get to go back soon. I'd send some sunshine your way but forecasts show we're expecting rain for the next week 😛 Hehe thank you!! I've heard of this place a lot and the landscape there looks so intriguing! Sounds like a fun day out. It's a beautiful place! I think it's best to visit during winter/spring so it isn't too hot. As someone who's owned a Disneyland pass in the past, I think this was a good investment as well! 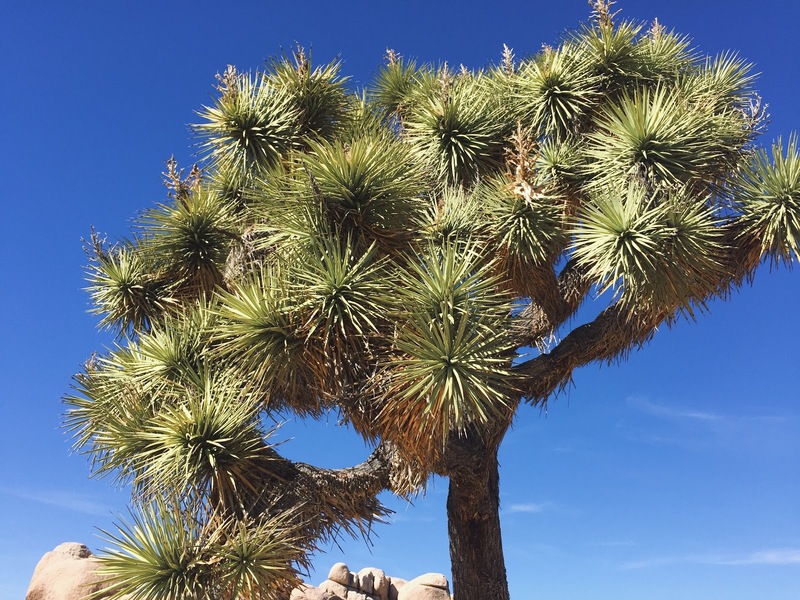 I keep hearing about Joshua Tree and really want to visit the next time I am in the US (along with a thousand other national parks). So beautiful! Isn't it? 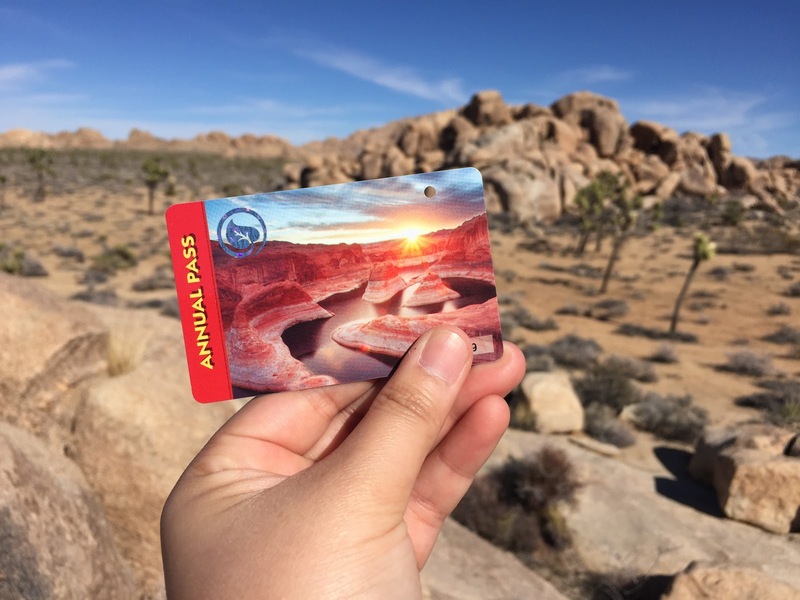 *heart eyes* Statistically speaking, if you visit four parks with the pass, then it's already worth your money (at least I keep telling myself that anyways!). Heheh thanks thanks. Yes, we stopped by Jumbo Rocks. We're planning on doing the Lost Horse Mine trail & the Skull Rock trail the next time we go. Awww I love that last photo, I saw when you posted it on Instagram and I was like "CUTE!!!"